Doodles typically shed very little and are recommended for families with allergies, or those who don’t want to mess with constant dog hair. Poodles have fewer health issues than many other AKC breeds. Additionally the hybrid vigor which results from out-cross breeding means that Doodles are typically healthy dogs. Poodles are one of the smartest (and easiest to train) dog breeds. Crossing a Poodle with another breed almost always makes a smarter puppy. At Crockett Doodles, we specialize in Doodle varieties that are usually great with kids and other people. Families looking for a Loving Companion often find Doodles to be a great fit. Research has proven that Dog Ownership can be a great blessing for children. Crockett Doodles has spent the past seven years developing a stellar reputation as a network of family-raised Doodle puppies. We leave comments and guest posts completely open on our Facebook page, and 99% of the comments are positive. Scroll through our Facebook page to read hundreds (literally) of glowing testimonies from real families who adopted from us—click here for a sampling of a few dozen testimonials. If you scour the internet looking for anyone with something negative to say about us, the strong chance is that they’re someone who never adopted a pup from us. We have a very loyal following from those who’ve had the privilege of adopting a puppy from Crockett Doodles. We’re one of the only breeders (of any dog breed) who offers a refundable deposit (minus 5% processing fee). We want you to get a dog that is the best fit for your family, and we recognize that may well be through a Humane Society or another breeder. We understand that your plans may change after you’ve placed a deposit. So we’re happy to refund a deposit at any time for any reason. Our Adoption Pricing is typically about half that of our doodle competitors who offer a similar quality family-raised puppy. Many hands make light work; because we harness the power of a network of dozens of families (each raising a litter at their home), we are able to cut costs significantly and pass the savings to you. All of our Crockett Doodles pups come with an outstanding one year health warranty. If you feed TLC dog food which we recommend, it extends to three years. We believe that puppies are healthier and better socialized when raised by a family, rather than a “professional” kennel with dozens of dogs. If your application is accepted, and your deposit is placed, you’re not locked into a particular litter. You have the option to pass on litters as they become available. 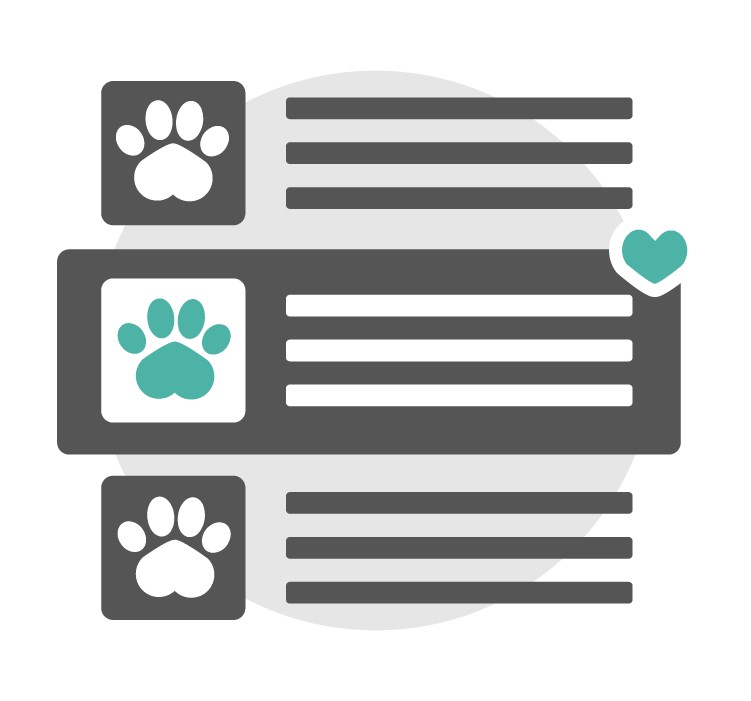 This allows you to get the exact Doodle puppy that you want in the timing that works best for you. Most families prefer to pick their puppy up at one of our partner homes. We have partner homes at various locations throughout the U.S. which helps shorten your trip. If you are unable to make the trip, one of our puppy nannies can personally drive (hand deliver) a puppy to you—from our door to you for 70 cents a mile round trip (a second pup is only $100 more for delivery). Families love the convenience our network offers them to get a puppy without having it shipped to them. As recognized leaders in the Doodle community, we desire to give back. We seek to use a substantial amount of any profit to give back to our community in tangible ways. Click here to read about the many ways we give back. Fill out the application at CrockettDoodles.com to show interest and explore if your family would be a good fit for a doodle puppy from us. If your application is approved you may place a $300 refundable deposit to be placed on a waiting list. In time, you'll begin receiving email updates (usually 1-3 months after deposit) where you can choose a puppy from a new litter. After you've been paired with a puppy you've chosen, you can pick up your puppy at one of our partner homes or have us drive your pup from our door to your location (70 cents a mile). Let the fun times begin! Crockett Doodles started as an idea. Dr. Nathan Crockett grew up in a home that always had a dog. His wife Abigail grew up always having a yellow Labrador Retriever. After marriage, the Crocketts had a purebred with health issues (and major shedding), and a friend told them about Goldendoodles. The Goldendoodle's non-shedding coat, friendly personality and hybrid vigor were huge draws. The Crocketts bought a gorgeous apricot poodle and planned to do one litter a year of home-raised doodle pups. After creating the bestGoldendoodles.com website, the Crocketts had hundreds of emails from people wanting one of the f1b Goldendoodle puppies from their first litter. When their pet Goldendoodle had her first litter of pups, the Crocketts had deposits on all 12 Goldendoodle puppies in a matter of minutes and had to send an email saying the deposits were now closed. They realized they could never keep up with the demand for quality home-raised Goldendoodle puppies for sale from a quality doodle breeder. Not wanting to start a kennel, they worked with close friends of theirs to become partner homes. The Crocketts bought outstanding Goldendoodles for several of their friends, provided the poodle stud, and connected the Goldendoodle (and mini Goldendoodle) puppies to wonderful forever homes. These partner homes became an ideal way to have truly home raised doodle puppies, yet provide more than one litter for sale a year. The Crocketts added Labradoodles the second year (specializing in chocolate Labradoodles and mini Labradoodles). For many years now, Crockett Doodles has become known as a premier breeder of f1b standard and mini Goldendoodles as well as f1b standard and mini Labradoodles. Over the past seven years, Crockett Doodles has received requests from numerous other families who believe in home-raised doodle pups. Many of these family friends had a desire to do a doodle breed other than mini Labradoodles or mini Goldendoodles. Crockett Doodles strategically partnered with the Dion family to do family-raised Aussiedoodles, the Arnolds to raise Springerdoodles, the Weiers with Bernedoodles, the Houtzs with Newfiedoodles, the Taylors with Saint Berdoodles, the Crouchs with Swissdoodles, the Andersons with Cockapoos, Nathan's brother Isaac Crockett with Irishdoodles, Josh Crockett with Cavapoos, and several friends with mini Sheepadoodles and standard Sheepadoodles. Because each family has just a few doodles, it allows these guardian home dogs to be true family pets. Crockett Doodles is able to devote resources to fully vetting all puppy applicants, marketing each new doodle breed, working through health tests, etc. with the partner families. Each year our partner home network grows. What started seven years as ago as our closest friends and family, has expanded into several dozen partner homes in many states. Because of our excellent reputation and generous arrangement with partner homes, nearly every week we get requests from families wanting to be a partner home. We’re able to accept only about 5% of these requests as we always desire quality above quantity in seeking to deliver the best family-raised doodle puppies. Our doodle partner homes have been a wonderful way to provide outstanding family-raised doodle puppies to great families. One huge advantage to the Crockett Doodles program is that a deposit for one kind of doodle can be transferred to any other doodle in our network. We have such high demand (and can accept only a fraction of deposits), that we are thrilled for a mini Goldendoodle deposit to be transferred to a mini Sheepadoodle or mini Bernedoodle or mini Labradoodle. Our program allows a great amount of flexibility to those who have placed a deposit with Crockett Doodles. 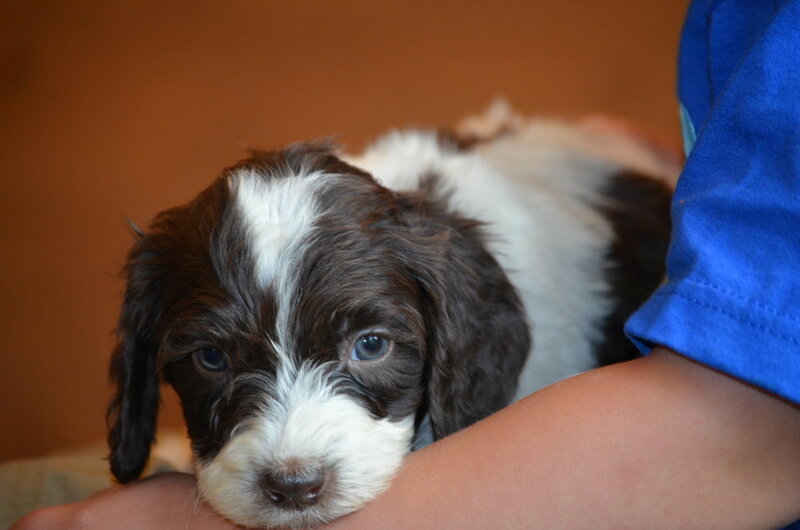 We also are one of the only doodle breeders to offer a REFUNDABLE deposit (minus a 5% processing fee). Your doodle puppy deposit can be refunded at any time, for any reason. Crockett Doodles has partnered with several close family friends who are focused on other home-raised doodles. Crockett Doodles is a partnership of several close families in an effort to provide your family with healthy, happy family-raised doodles. If your application is accepted and you place a deposit, your deposit can be used for any family doodle breeder within the Crockett Doodles network (Goldendoodle, Labradoodle, Aussiedoodle, Bernedoodle, Sheepadoodle, etc). You're never locked into a particular doodle breed or a particular doodle litter, and your deposit is refundable at any time for any reason (minus a 5% processing fee). To help you find the right doodle breed for your family, check out our breed comparison chart. Crockett Doodles has assembled a top-notch team of outstanding professionals seeking to provide the best experience possible to forever families. Abigail Crockett is a huge help to Crockett Doodles by doing all the behind-the-scenes things to free up Nathan’s time to run the company. Abigail is gifted musically with a degree in piano performance and a Master’s degree in piano and flute. Abigail is adept at handling five little kids, three great dogs, and regular litters of puppies being raised in the living room. She uses her background as an Executive Events Coordinator to plan events for guardian homes and partner homes. Her contagious smile and frequent laughter help make the Crockett house a fun place to be. Karie Crockett is a trained musician, but spends most of her time doing Mommy-things. Karie juggles the responsibilities of being a mom to four kids, wife to the pastor of a fast-growing church, and leader of one of the teams at Crockett Doodles. Karie oversees our puppy announcements. As families on our deposit list wait with baited breath for when they will see the pictures and descriptions of their new puppy, Karie is working to be sure the announcement is perfect. She enjoys her family’s red Cavapoo, Lady. Anna Coleman and her husband, Miles, moved from Columbia to Greenville, SC. Anna teaches sixth grade science online and stays busy as a mom to their two young children. Anna's outgoing and friendly personality make her an excellent team member to work with our social media efforts. After school hours, she works with Facebook. Anna loves taking pictures of cute pups. She and Miles have two Great Danes (Sawyer and Sophia) and a Bernese Mountain Dog (Stella). Stefanie serves Crockett Doodles on the Matching Team, corresponding with our families about upcoming litters and available puppies. Stefanie describes herself as a lady who is crazy in love with her husband, grateful for the gift of her children and grandchildren, and humbled by the vastness of relationships God has so graciously bestowed. Stefanie graduated with a B.S. in Business Administration and has spent most of her adult life teaching business and technology as well as serving in the areas of HR, accounting, and office organization. Her hobbies include coaching basketball, cooking, music, and caring for her lovable YorkiePoo (Lily). Katie serves the Crockett Doodle Communication’s Team in correspondence, matching and scheduling. Katie’s past work experience for the government and Greenville County in customer service, as a property tax specialist and as a liaison for non-profit organizations to gain on-the-job work experience opportunities serves her well on the Crockett Doodle Team. Katie and her husband, Ben, own a small hobby farm that includes chickens, ducks, rabbits, a cat and a vegetable garden. They enjoy hiking, kayaking and traveling together with their dogs, a Poodle named Winston, and a Bernese Mountain Dog named Brigitte. Marjorie graduated with a degree in Journalism and Mass Communication. She has a passion for sports and the great outdoors. She assists on the Crockett Doodles Social Media development and management team while using her video skills to help tell the Crockett Doodles story. Marjorie also works to help schedule families traveling for Adoption Day. She looks forward to starting her own dog family at some point in the future. Daniel Herr graduated with his Master’s Degree in Communication. Offering versatile experience in communication, organization, event coordination, and leadership, he assists Nathan with overseeing our puppy nanny system that hand delivers puppies all over the U.S. Daniel deals with the logistics of making each personal puppy delivery happen in a way that is best for the puppy and the forever family. Soccer and playing the guitar have long been Daniel’s passions. He also loves the outdoors and the opportunities to bike, camp, and hike the mountains with his wife, Miranda, just minutes from their Greenville, South Carolina home. He and his wife have always been true dog lovers and they couldn’t be more excited to adopt a doodle of their own soon! Dr. Doug Sprunger helps the clients of Crockett Doodles by improving their overall client experience. He serves the broader Greenville community as a real estate agent with Keller Williams. He worked at Bob Jones University as a Bible faculty member and division chair for the division of Christian Ministries for 15 years, and as a pastor and school administrator in northern Indiana and central Illinois for twenty years. He is married to Gina Sprunger who teaches on the BJU piano faculty and has published a number of Christian hymn arrangement books. Doug and Gina enjoy biking, hiking, and spending time with their two married children and grandson. Soraya tracks many of the details of the Crockett Doodles experience. From deposits to preference updates to completing finished records, she enjoys serving our clients and staff by helping to keep our processes moving along smoothly. Soraya and her husband, Ken, have five children who are growing up way too fast and starting to branch out on their own. Ken and Soraya married shortly after college and have been serving in local churches ever since. Ken currently pastors a church in Spartanburg, SC. Soraya enjoys serving alongside him in various counseling, teaching, and hospitality ministries. Mike and Danielle both have a degree in Math Education. Mike is currently a Student Ministries Pastor and Danielle enjoys teaching Junior High math. They love being a transition home for Crockett Doodles as well as working with any puppies who became available due to a deposit list family having last minute plans. They oversee the Available menu option on CrockettDoodles.com and answer emails from available@crockettdoodles.com. Mike and Danielle, along with their five children, love their 11-year-old golden retriever, Maggie. Seth is the Director of Camp Kanesatake in State College, PA. He and his wife Shannon have enjoyed being a Guardian home for Crockett Doodles with their pet Goldendoodles. Seth is passionate about building relationships with new people to make owning a puppy a more enjoyable experience. Crockett Doodles desires to partner with companies that produce the world’s best dog products and services. 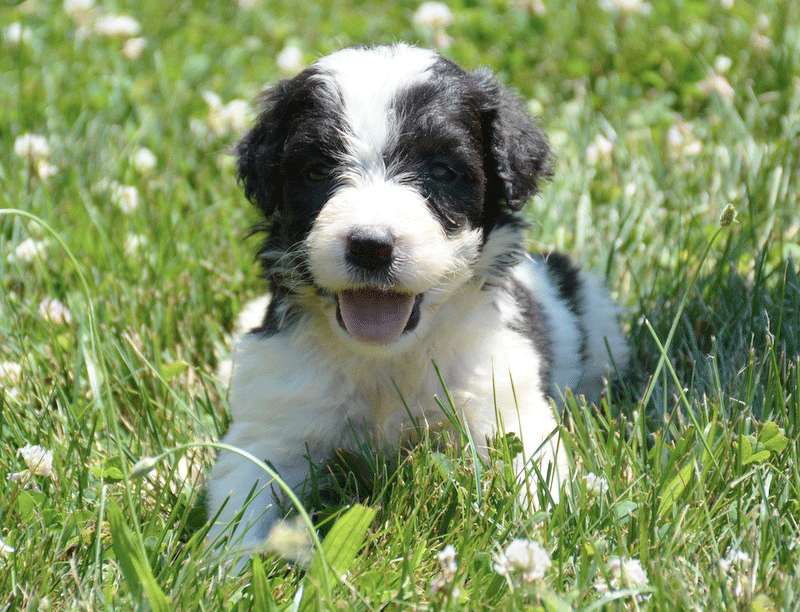 Our pricing is consistently less than other breeders who offer a similar quality doodle puppy. Mini doodles are usually a little bit pricier than standards, since minis usually have smaller litters. *Several of our medium, large, and extra large doodle breeds have the option of miniature sizing. For example we offer mini Goldendoodles, mini Labradoodles, mini Aussiedoodles, mini Bernedoodles, mini Sheepadoodles, mini Irishdoodles, mini Saint Berdoodles, and mini Newfiedoodles. See the respective websites for further clarification of the sizing of minis. For example, a mini Saint Berdoodle (30-45 pounds full grown) is considerably bigger than a mini Aussiedoodle (8-15 pounds full grown). We offer only one discount per puppy. Because of the amount of time our Matching and Scheduling Team invests into matching each family with the right puppy, we kindly ask that no changes be made after you have chosen your forever puppy and received the email confirming you have been matched to your puppy. A Cancellation Fee of $100 will be subtracted from your deposit to cover our costs of re-matching and re-scheduling your puppy with a new forever home if you back out of your matched puppy. If you back out, you may of course stay on our wait list and wait for another available puppy, but will now have a $200 deposit on record towards your puppy (rather than the initial $300). Years ago, we announced doodle litters to hundreds of people who had placed their name on a list. Within the first minute or two, the entire Goldendoodle (or Labradoodle) litter would be spoken for, and those who got a pup felt like they had won the lottery. If a family checked their email more than 4 or 5 minutes after we sent it, the pups would already be spoken for. At Crockett Doodles we use a thorough application process to take deposits ahead of time, accepting only the best qualified forever homes. Please do not place a PayPal deposit unless your doodle puppy application is accepted. We will try to thoroughly and fairly evaluate your doodle application within four to five days. We will respond with a detailed answer that will essentially be "yes," "no," or "wait." We're presently able to accept deposits from almost 30% of those who want a doodle puppy from us. Each year it seems like we have to be more picky in which applications we can accept as we are continually flooded with doodle puppy applications. Completing the application below in NO WAY obligates you to place a deposit or to get a doodle puppy from Crockett Doodles, it's merely the initial step to show interest and explore if your family would be a good fit. If we accept your doodle application, you would have the option of placing a refundable $300 deposit (minus a 5% processing fee if you request a refund), which would apply to the final price of your doodle puppy. Once you place the deposit, you will receive litter announcements to choose which doodle pup you want from a given litter as they're available. You also have the option to pass on as many litters as you want. Your doodle deposit can be refunded at any time for any reason (minus a 5% processing fee). We don't understand why almost every other breeder requires non-refundable deposits. To us, the application helps us evaluate if you would be a great forever home. The deposit shows us that you're serious, but we have no desire to keep your deposit if you find a dog somewhere else or for some other reason decide not to get a puppy from Crockett Doodles. After you fill out an application, we highly recommend reading through our entire step-by-step process to understand the typical timetable from start to finish. Greenville, SC is our headquarters. Occasionally our partner families in Detroit, MI, Charlotte, NC, Atlanta, GA, Allentown, PA, South Bend, IN, Terre Haute, IN, Cincinnati, OH, Greeneville, TN and Corning, New York have litters available, and California should be launched by late 2019. If your pup is picked up (or delivered) outside of South Carolina, no sales tax applies. If your favorite location is not available, what would your second choice be? Other pets at your house? If so, what kind of pets? If so, what are your children's ages? If you don't have a fence, what other exercise options are available? Thank you for applying for a Crockett Doodle! We are honored that you took the time to apply. We take the application process very seriously. It is our goal to fairly and thoroughly evaluate each application within 2-3 days and let you know whether or not you've been accepted. Typically our response will be "no, wait, or yes." If we accept your application, we would email you with next steps. Thanks again. For further explanation of the next steps, please check out the next step in our process or read our FAQ page. To read about the experience others have had when getting a pup from us, please read the Reviews section by clicking the menu above, or visit our Facebook page to read dozens of five star reviews. Here is a step-by-step overview of the whole process to get a Crockett Doodle puppy. Click on a particular dot to learn more about that step. The process of housebreaking often brings on feelings of nervousness and worry, but the process does not have to be stressful—for you or the puppy. Not sure what to put on the dog tag? Make sure it contains the most important information in case your dog gets lost. Better safe than sorry! 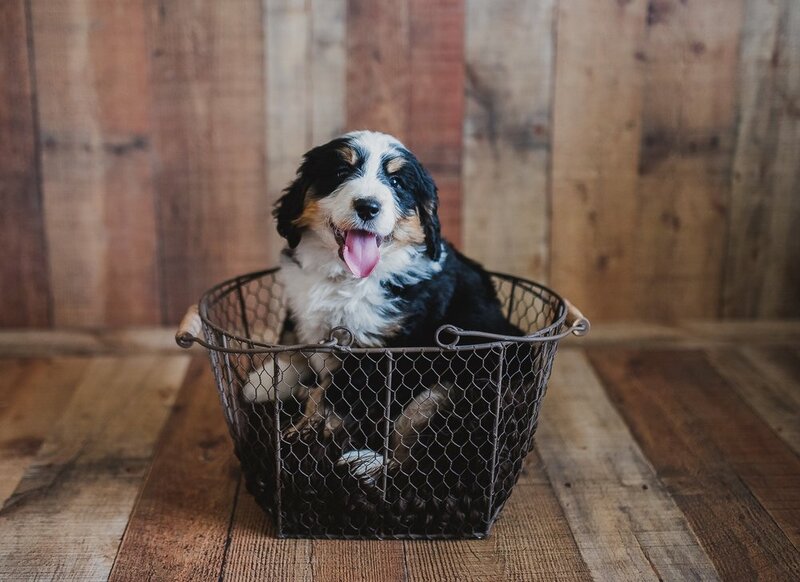 Your dog’s crate is his own personal den where he can find comfort and solitude while you know he's safe and secure—and not shredding your house while you're out running errands. Start your new pet off on the right paw with puppy training classes that encourage and reinforce good behaviors. It's perfectly natural for puppies to want to explore their surroundings. Two primary ways of getting to know the world around them are through their noses and mouths, which is why many puppies can be seen smelling or chewing on just about everything they encounter. Prevention is your dog's best bet against heartworm disease. It’s far easier (and more cost effective) to prevent these problems than to have to mess with an infestation. Fleas and ticks make your dog's life miserable. Fleas can transmit tapeworms and cause itchy allergic reactions, which can lead to scratching, hair loss and infection. Grooming is an essential part of our dogs’ health and hygiene. Pets with healthy, clean coats are happier animals! While some dogs are easy to bathe and brush at home, others need regular trips to the groomer. A veterinarian is your pet's second-best friend. You're looking for someone to meet your needs and those of your pet, a doctor who has people as well as animal skills. The worst time to look for a vet is when you really need one, so plan ahead and choose wisely .